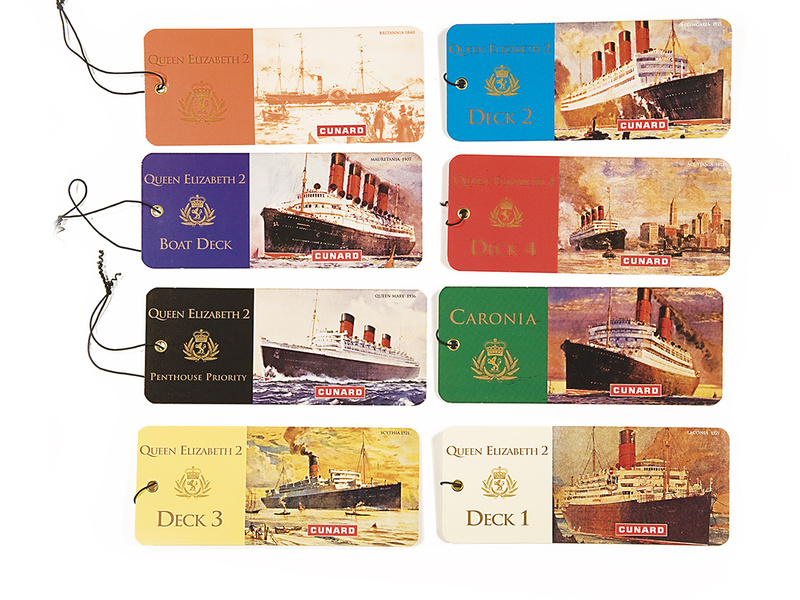 Our challenge with Cunard was to restore luster to the brand, after it was acquired by Carnival Corporation, and sank to a low point in its history. 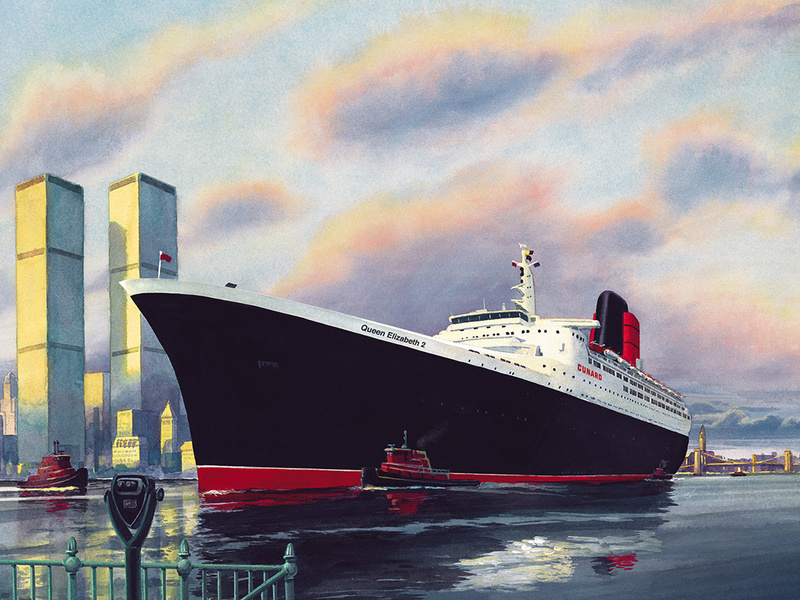 When we began, the Cunard fleet consisted of an aging Queen Elizabeth 2 and Caronia, a former Royal Viking ship that had been reborn as a Cunarder. At the same time, other cruise lines were expanding their fleets with brand new mega-ships featuring state-of-the-art stabilizers, all-balcony suites, rock-climbing walls and ice rinks. 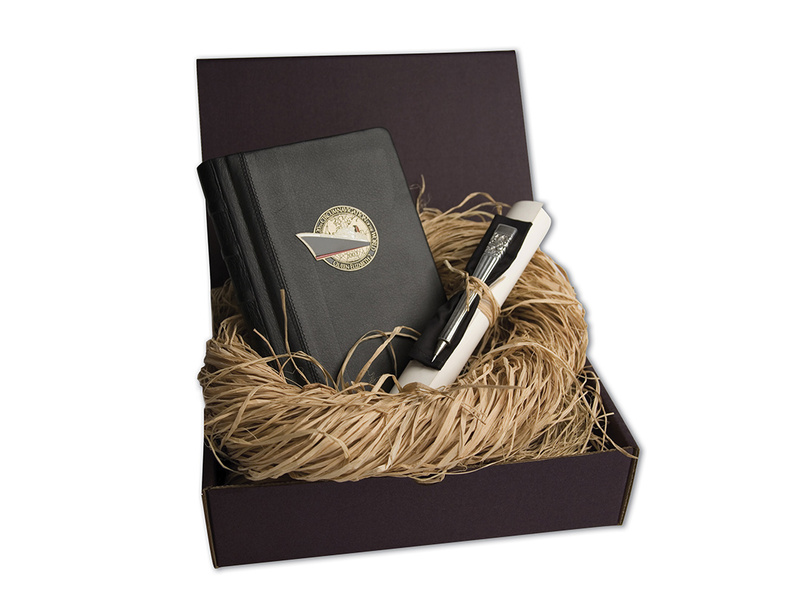 What do you sell when your competitors have the edge in glitz, technology and amenities? Simple. You go back to your roots and sell the grand lineage of the Cunard line and promote a return to the golden age of ocean travel. We targeted affluent, educated travelers with a developed taste for history and culture. 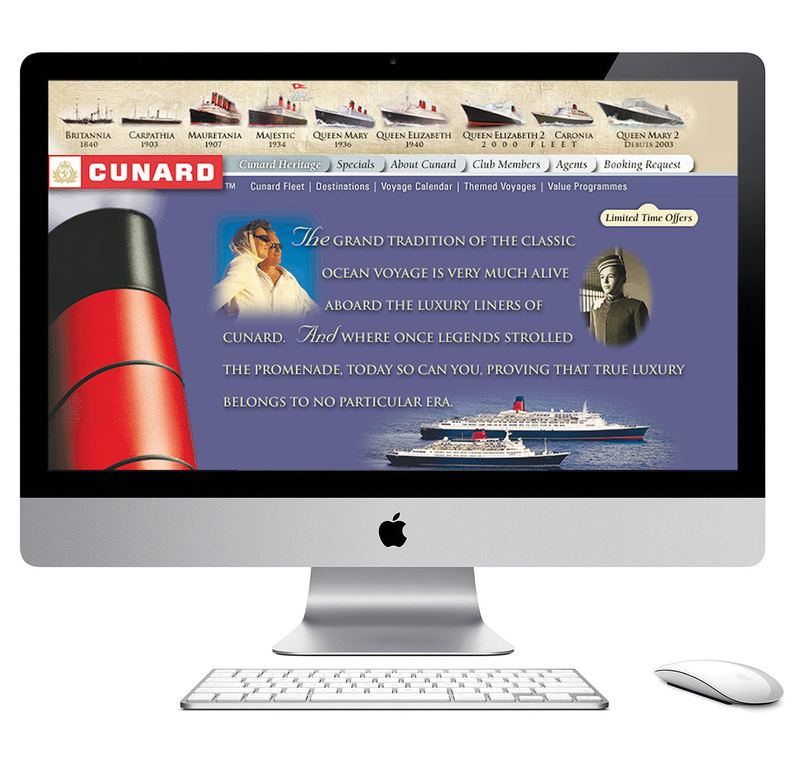 Our team worked closely with Cunard’s marketing services division, the web site developer, tour operators and PR companies in both the United States and the United Kingdom. 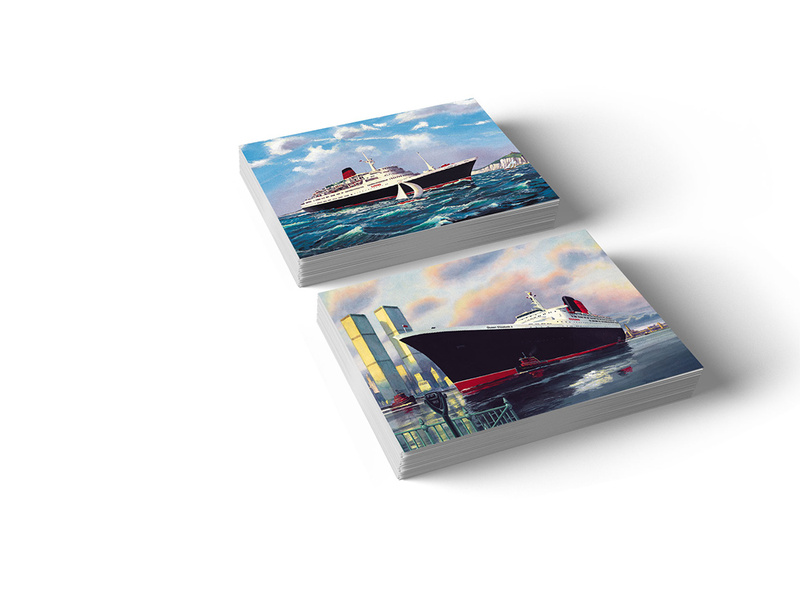 We created image television, tactical print, travel industry promotions, on-line promotions, fleet-wide graphic standards and crafted the Cunard brand from the design of the tickets and gangways to catalogs and long form films. And our work got results, winning awards from the American Advertising Federation and Communication Arts (in collaboration with the web team), and creating a renewed sense of pride among Cunard staff and crews. 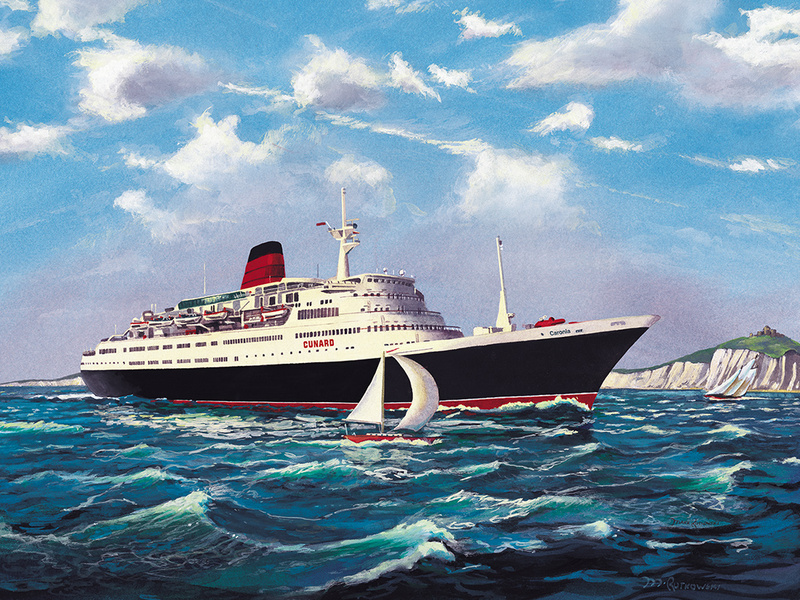 Queen Elizabeth 2 and Caronia had near-capacity sailings for the duration of their lives until the launch of Queen Mary 2.